Swollen ankles, cold feet – the pain associated with poor circulation affects both healthy people and those with underlying conditions. But treatment still relies heavily on symptomatic pharmaceutical and compression therapies – like aspirin and the stockings sold at airports – or more drastic surgical interventions. With a dearth of options available to sufferers of poor peripheral circulation, start-up company Actegy had an innovative new product in their labs that promised both health benefits and commercial potential. But it needed further testing to confirm its efficacy – and stand up to scrutiny in a sceptical and highly-regulated marketplace. A partnership with London South Bank University was the way forward. Granting the small business of 20 employees access to the scientific expertise of two international-class researchers – with more than 70 peer-reviewed publications between them – it gave Actegy the instant R&D team it needed to support its claims for the technology and open up new markets who could benefit from it. The principle behind Actegy's REVITIVE circulation booster is neuromuscular electrical stimulation, delivered to the lower limbs via the soles of the feet. Actegy knew it worked but didn't have the scientific evidence to support its claims. They reached out to Dr Paul Sumners and Dr Katya Mileva, cardiorespiratory and neuromuscular researchers at LSBU's Sport and Exercise Science Research Centre. Specialists in applied movement neuroscience, nutrition and muscle metabolism research, Dr Sumners and Dr Mileva could undertake the scientific research Actegy needed. "The science that electrical currents can evoke muscle contraction is well-established," explains Dr Sumners of the Sports and Exercise Science Research Centre (SERCE). "It's widely used for both functional muscle rehabilitation and strength enhancement. But the benefits of electrically-evoked muscle contractions for peripheral circulation, that is simple to use, had not been properly investigated." Conducted on otherwise-healthy individuals who sat still for 40 minutes to evoke venous stasis and limb swelling, the research participants showed significant signs of poor circulation – cold, painful swollen ankles, feet and lower legs. "What we found was that 20 minutes of electrical stimulation of the feet did in fact successfully enhance venous and lymphatic outflow, attenuate oedema and associated discomfort," says Dr Sumners. "And improved circulation reduces the risk of cardiovascular and neurological complications like deep vein thrombosis, heart attack, stroke and amputations." 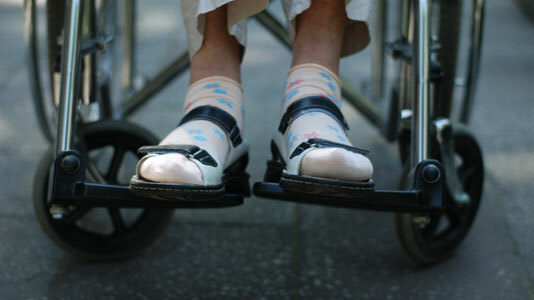 "More than 100,000 people are diagnosed with peripheral vascular disease each year in the UK – and ten times more suffer from chronic venous insufficiency," explains Roseanna Penny, Director of Actegy. "Our partnership with the SESRC at LSBU provided the expert evidence and confidence we needed to develop REVITIVE." LSBU's research gave Actegy a unique selling point in a crowded market: scientific credibility. As sales increased, Actegy again turned to LSBU's expertise in human health and performance to create further enhanced versions of REVITIVE. Thus, the initial contract which began as product efficacy testing scaled with Actegy's growth to become research-led development –leading to new USPs and improved clinical outcomes. Actegy was recognised as the UK's fourth fastest-growing privately-owned company in 2010's Sunday Times Fast Track 100 awards and the 17th fastest-growing in 2011. Two patent applications are now pending and the collaboration continues with Actegy consulting LSBU as it prepares for FDA approval in the US and REVITIVE's use in clinical settings. With ten per cent of the yearly NHS budget – around £9 billion – spent on diabetes alone, the health benefits and commercial potential of REVITIVE look bright. "The research undertaken at LSBU provided reliable baseline evidence to justify the feasibility of trials on clinical populations with diabetes and venous insufficiencies," says Penny. "Clinical trials are currently underway at Imperial College Hospital. "Actegy, with LSBU's research, has dramatically impacted on the lives of 1 million people at risk of, or already diagnosed with, peripheral circulation problems. The research collaboration with LSBU is already improving lives." Actegy was formerly High Tech Health.